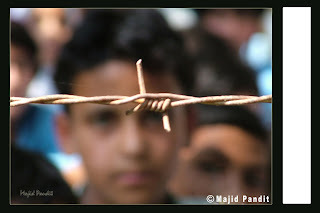 Even when I was in Kashmir, I never felt that strange pull that I feel now. I never felt that sudden desire to break all barrier and run to my roots. I never felt that deep desire to run across those dusty roads once again, I never closed my eyes and remembered the sparkling water like aluminum foil on the sunny afternoon, cruising through the Boulevard on my bike. I never missed the round, slippery stones, covered with lichens, swashed under my feet, cutting through my skins while having fun with my friends at Pahalgam. I believe my soul slept under the enthusiasm of youth or teenage or maybe it was to bewildered by the bright of the city life that it stopped talking and stopped demanding anymore. I never realized that here, miles and miles away from my land I will be tied down to roots again. I cannot recollect how many times my present blurs away and I see those downtown streets with jam packed dwellings. That star studded night with bright stars and hazy nebulas and the crescent of moon peeping in from that poplar tree that rose too high from our neighbour's house. How many times I would taste the food on my tongue which my mom brought to my school. I look outside my office window many times and I see those huge buildings and busy street staring at me and I feel lonely in my heart. Empty of those careless days, empty of those no-expectation and no-expecting days. When I was a nobody and nobody wanted anything from me. When I would just run around my whole locality playing with mud and collecting toys and freebies in my pocket. That’s the only childhood I remember, I don’t remember a single thing other than my class, my school, our kitchen garden that helped us in tough times, a part of my home, part of those friends. The world has changed so much and so have I. I have not been to my old home for long. I wish and still feel that everything will be what it was when I left them all. Same people smiling at me, the old house, even older poplar tree hovering all over the house, my bicycle, those same friends. But I know that it will not be the same. Still I want to be there. I want to feel that mud again on the sole of my feet. I want to be with nature again. I want to be with my roots again. I just have few words to say "Veni, Vidi, volo in domum redire" - I came, I saw, I wana go home! Amul, is known for its topical, spoof-based outdoor ad campaigns. Be it politics, sports, movies, lifestyle or current affairs, Amul has covered them all in its campaigns. Viewers and passers by keep a keen eye on the campaigns, which change three to six times every month, depending on recent happenings. 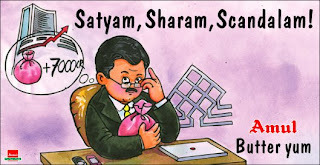 Continuing with tradition, Amul has now spoofed the Satyam fiasco, not sparing the chief executive officer, Ramalinga Raju and his alleged fraud of Rs 7,136 crore. The campaign creative depicts a caricature of Raju in the “eye-wiping” pose that was splashed across newspapers and magazines soon after the news broke. The copy reads, ‘Satyam, Sharam, Scandalam’, a play on the devotional ‘Satyam, Shivam, Sundaram’, which means ‘Truth is God and God is Beautiful’. When Omar Abdullah was recently elected chief minister of Jammu and Kashmir, the campaign read, ‘Omar, Amul la!’, along with a caricature of Abdullah in a ‘shikara’ (a Kashmiri boat). On an average, Amul displays around 55-60 topical ads in a year on hoardings across India. A sniper is an infantry soldier who specializes in shooting from a concealed position over longer ranges than regular infantry, often with a specially designed or adapted sniper rifle. It requires skill in marksmanship, camouflage and field craft. The term sniper is attested from 1824 in the sense of sharpshooter. The verb to snipe originated in the 1770s among soldiers in British India-in the sense of: ¡°to shoot from a hidden place,in allusion to snipe hunting, a game bird known for being extremely difficult to hunt. Those who were skilled at the hunting of this bird were thus dubbed "snipers". During the American Civil War, the common term used in the United States for much the same function was "skirmisher". A Civil War army often protected itself by using such concealed marksmen, who were deployed individually on the extremes of the moving army. Generally, such skirmishers were selected on the basis of prior proven hunting and marksmanship skills. Often these were either young soldiers with promising maneuverability and field craft, or older men with refined marksmanship and tactical skills. The term 'sniper' was not in widespread use in the United States until after the American Civil War. In the last few decades, the term "sniper" has been used rather loosely, especially by media in association with police precision riflemen, those responsible for assassination, any shooting from all but the shortest range in war, and any criminal equipped with a rifle in a civil context. In the Bosnian War, and for much of the Siege of Beirut, the term 'sniper' was used to refer to what were generally ill-trained soldiers who terrorized civilians, mainly by firing at them from windows and rooftops. During the Siege of Sarajevo, the main street of the city became known as "Sniper Alley". This has rather expanded the meaning of the term. It has also given "sniper" mixed connotations. Official sources often use other terms, especially for police snipers: "counter-sniper", "precision marksman", "tactical marksman", "sharpshooter, or "precision shooter". 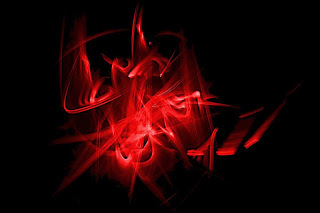 Some of these alternatives have been in common use for a long time; others are closer to undisguised euphemisms.Snipers in warfareDifferent countries have different military doctrines regarding snipers in military units, settings, and tactics. 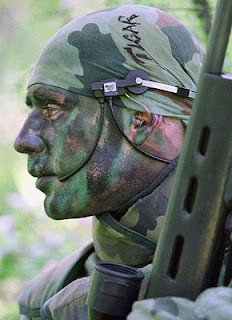 Generally, a sniper's goal in warfare is to reduce the enemy's fighting ability by striking at a small number of high value targets, such as officers. Soviet Russian and derived military doctrines include squad-level snipers, which may be called "sharpshooters" or "designated riflemen" in other doctrines. They do so because this ability was lost to ordinary troops when assault rifles (which are optimized for close-in, rapid-fire combat) were adopted. Military snipers from the US, UK, and other countries that adopt their military doctrine are typically deployed in two-man sniper teams consisting of a shooter and spotter. The two have different functions and hence their assignment corresponds to their skills, but a common practice is for the shooter and spotter to take turns in order to avoid eye fatigue. Typical sniper missions include reconnaissance and surveillance, counter-sniper, killing enemy commanders, selecting targets of opportunity, and even anti-mat riel tasks (destruction of military equipment), which tend to require use of rifles in the larger calibers such as the .50 BMG. Snipers have of late been increasingly demonstrated as useful by US and UK forces in the recent Iraq campaign in a fire support role to cover the movement of infantry, especially in urban areas. The current world record for the longest range sniper kill is 2,430 meters (7,972 feet), accomplished by a Canadian sniper, Corporal Rob Furlong, of the third battalion Princess Patricia's Canadian Light Infantry, during the invasion of Afghanistan, using a .50 BMG (12.7mm) McMillan TAC-50 bolt-action rifle. This meant that the bullet had a flight time of approx 4.5 seconds, and a drop of approx 70 meters (230 feet). This impressive feat of marksmanship is not typical for the effective range with a high first hit probability of the employed rifle. The ambient air density in the Shah-i-Kot Valley where Corporal Furlong operated is significantly lower then at sea level due to its 2,432 m (9,000 ft) mean elevation. This increases the maximum effective range of a high powered sniper rifle like Corporal Furlong used by approx 600 m (1968 ft). The previous record was held by US Marine sniper Carlos Hathcock, achieved during the Vietnam War, at a distance of 2,250 meters. Hey!! Do you remember these lines ??? Boss!!! we are in trouble!! Two little boys, aged 8 and 10, are excessively mischievous. They are always getting into trouble and their parents know all about it. If any mischief occurs in their town, the two boys are probably involved. The boys’ mother heard that a Pir Baba is in town had been successful in disciplining children, so she asked if he would speak with her boys. The Baba agreed, but he asked to see them individually. So the mother sent the 8 year old first, in the morning, with the older boy to see the preacher in the afternoon. "Do you know where god is, son?" Again, the boy made no attempt to answer. The preacher raised his voice even more and shook his finger in the boy’s face and bellowed, "Where is god?!" 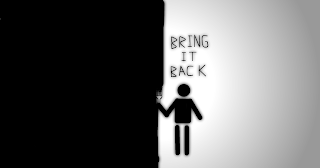 The boy screamed and bolted from the room, ran directly home and dove into his closet, slamming the door behind him. The younger brother, gasping for breath, replied, "Boss we are in BIG trouble this time."